Have you ever wondered how to pack your clothes when moving? Packing your clothes can be one of the easiest steps of the moving process if you do it right. The first step to packing your clothing is to start early. 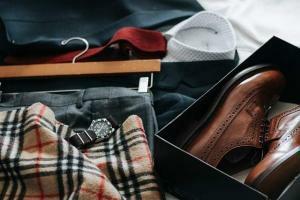 The best time to organize your wardrobe is as soon as you know you are moving. This is the perfect time to sort through your belongings. Have I worn this is the last year? Is this currently in style? If you answered “No” to any of the questions above, it’s time to say good bye and decide whether to sell, donate or toss the item. Remember the goal is to declutter and purge the items you no longer need or use. Place them into piles of “Keep”, “Sell” and “Donate”. Make sure that the articles you decide to keep you really want and need. Once you have pared down your wardrobe it’s time to organize the clothing you are keeping. You can pack some of your effects long before moving day. The first items you should pack are belongings that are seasonal. For example, if you are moving in the summer pack your wintry weather clothing. Unless you plan on packing and unpacking your clothes on moving day, make sure not to have the clothes you need during your relocation packed with the rest of your garments. Decide what you will wear on moving day. Set aside the items you will need immediately upon arrival to your new residence, so make sure some towels, undergarments and pajamas are packed separately and you have them with you. There is nothing easier than leaving your clothes in dresser drawers. This will save you time and space. If they don’t weigh the dresser down too much, simply secure them with stretch wrap and have your mover pack and load the furniture with the clothing still inside. Suitcases are meant to hold clothes and are easy to move around. Save money on boxes and put some clothes you don’t mind having folded in suitcases. A budget friendly option for packing clothes is using garbage bags and vacuum bags. Garbage bags can be used to cover your clothes. All you need to do is cut a hole in the bottom of the bag and pull the bag over the clothes. Tie a knot at the bottom and keep the hangers together with a twist tie. Vacuum seal bags can hold a large amount of clothes compared to normal bags. With the air taken out of the bag, they shrink down and take up very little space. Both garbage bags and vacuum bags are simple, although may not be as useful as they may seem. They rip easily providing little protection against damage. Also, they are slippery and difficult to keep in place. Just like clothing, sort your shoes to determine which ones to keep, sell, donate or throw away. Throwing your shoes in a box may be the fastest way to pack them, but it is not the most effective. You need to prepare them for the move. Lightly clean your shoes to remove any dirt. Use shoeboxes if you have them, you can stack them in a larger moving box. If you do not have shoeboxes, stuff your shoes with crumpled paper or socks to help them keep their shape and prevent crushing. Wrap your shoes in clean paper or cloth before placing them in a box to avoid scuffing and bruising. Remember to always pack your shoes in pairs. Pack heavy shoes first and avoid pressing or smashing which may cause damage to their surface. The key to finding your clothing quickly is labeling all your packed boxes correctly and clearly. What room should the box go to? What is inside the box? Which bedroom or closet do the contents belong in? Knowing what is inside will be helpful to both you and the mover when unloading the moving truck and unpacking. Whether you are moving across the street or across the country, Frank and Sons Moving and Storage has been the local, long distance and international moving company thousands of homeowners across the country have entrusted to effectively coordinate and execute successful moves. Whatever your relocation requirements, Frank and Sons Moving and Storage has the solution to fit your needs. Contact us today.